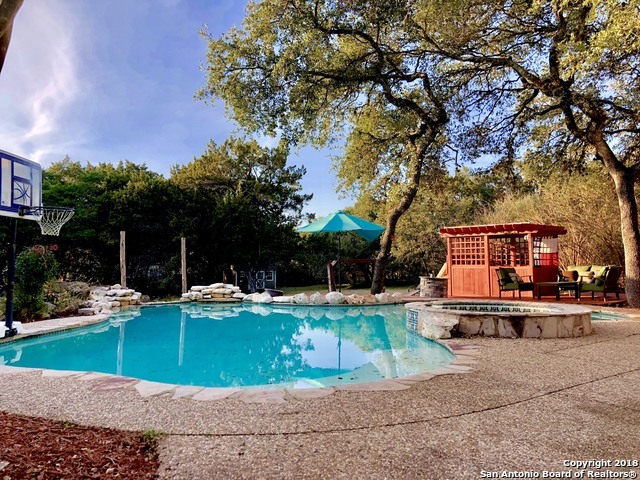 All SCENIC OAKS homes currently listed for sale in San Antonio as of 04/18/2019 are shown below. You can change the search criteria at any time by pressing the 'Change Search' button below. "$2,500 living room flooring allowance! With its guarded entry and beautiful HOA house. It provides a secured area for the community. Sitting on just over an acre of land this home has 3 bedrooms, 2 full baths, a crafts room and a very spacious chefs kitchen, featuring alder millwork and high level marble counters and mimic'ed throughout the entire home. Gorgeous pool with raised hot tub that cascades in. Plenty of room for entertaining, come for private tour today."